The new platform Alt.Estate plans to make its protocol the “ERC-20” for tokenized real estate. It includes the smart contract technology (the team has already developed 20+ smart contracts and dApps builder), corporate structure and proven legal framework. Like Ripple, the company focuses on large institutional customers. The solution is also beneficial for middle-class investors and crypto whales. 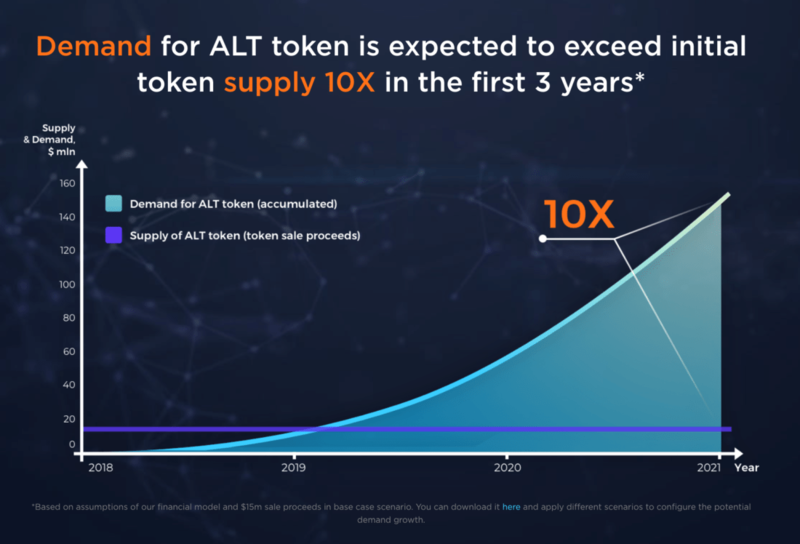 The demand for ALT tokens is forecasted to be 10 times higher than the initial token supply. A studio in Shinjuku district of Tokyo, a 2-bedroom with ocean view in New York – those are new locations which Alex adds to his ‘real estate portfolio’. No, he’s not a tycoon, he only intends to spend $5K for small fractions of 8-10 objects. He selects the tokens on the website, pays in crypto, and it’s done. Before blockchain, it would take him 1 month, require a notary in each country and a $15K fee for each deal alone. Now in 10 minutes, a diversified global portfolio is composed. Alex intends to HODL the tokens, then trade them on the Alt.Estate platform with a markup. 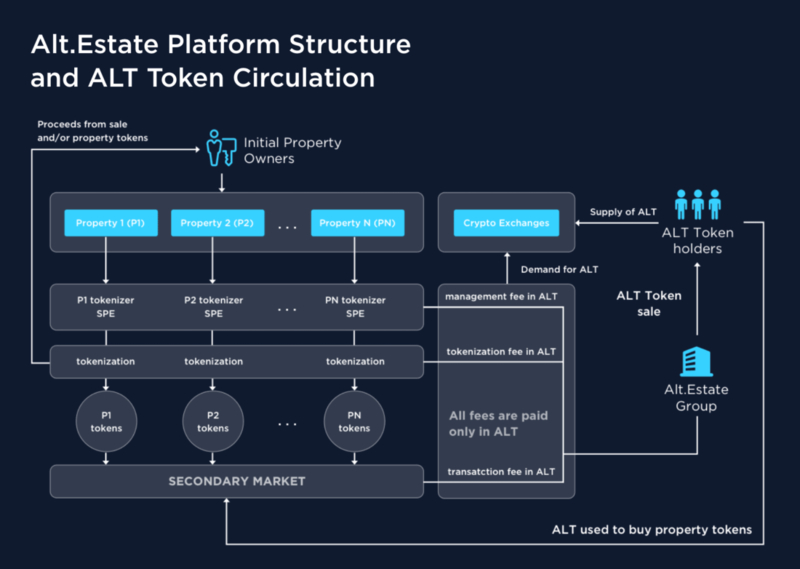 Powered by the Protocol, Alt.Estate Platform is the marketplace for primary sales and secondary trading of tokenized assets. Together with the Protocol, the Platform makes trading tokenized properties easy and fast and brings closer the Alex’s use-case vision. The blockchain technology allows to decrease transaction costs from 30% to 2%, bring down transaction time from 1 month to 1 click, and lower an entry ticket from $200,000 to $100. All data is already uploaded on IPFS to ensure the transparency of rights ALT tokens provide, to store purchase/sale agreements, property’s operating procedures, etc. Small and middle-class investors can spend $5K for a global real estate portfolio of small fractions in 8-10 properties. At the same time, crypto whales can protect their assets from volatile exchange rate by investing it in real estate. ‘Alt is like Tether in real estate’, noted the Circle’s Managing Director for Asia Jack Liu during the pitch in Hong Kong last week. Alt.Estate believes the demand for its token will be primarily driven by the B2B segment – PE funds and family offices buying real estate with $10-30 million tickets for tokens. According to EY, private equity funds already invest $100+ mln in the real estate via crowdfunding platforms annually, and they are interested in becoming anchor investors. Moreover, large real estate players, such as developers, brokers, and marketplaces get a turnkey solution for real estate tokenization without infrastructure costs. 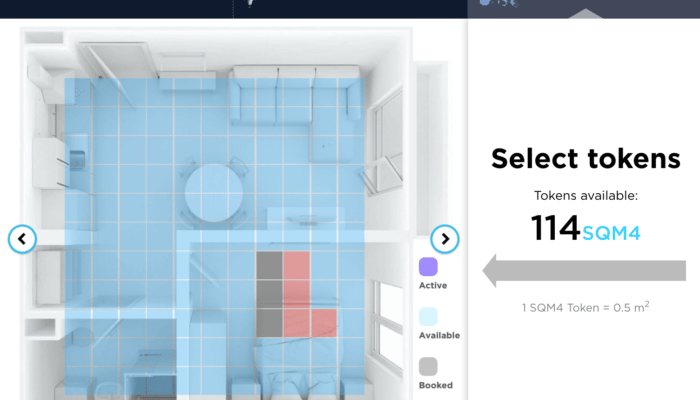 Thousands of companies will use built-in widgets on their own websites to increase sales of property to the end customers. In this case, Alt.Estate gets huge leverage in marketing: for each dollar raised, the company can spend 3-10 dollars of real estate developers’ marketing budgets instead of 30 cents for its competitors (30% standard share). Alt.Estate team possesses a wide and profound experience. According to their Whitepaper, team and advisors have a combined experience of $4 billion in real estate deals. The project has been already supported by real estate and blockchain gurus, like top-notch software engineer Matthew Falk and early Etherium investor and sales executive Evan Huddleson. They have impressive advisors from the leading real estate companies, such as PWC, Knight Frank, Cushman with more than 2000 offices in 150 countries. Alt.Estate does not need any change in state regulation, contrary to many competitors, its business plan can work within the current legal system. Thanks to the blockchain technology spreading, the company aims to become one of the major beneficiaries. Alt.Estate’s token sale is scheduled for May, 30. The company has a cap of $15 mln.